Get your picture with Santa - the real one! One of the OLDEST and BEST shows on the island! 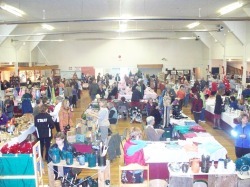 This is truly a community event, with the spirit of Sooke evident throughout the show. 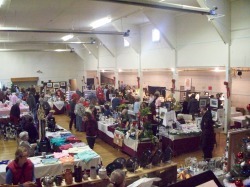 All locally made, hand-crafted items for sale in a festive Christmas venue. Quilting, knitting, needlecraft, eggshell art, jewellery, soap, wooden toys, home preserves, kelp baskets, leathercraft, pottery, and more! 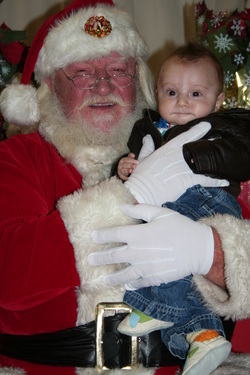 Get your picture with Santa - the real one! Located in the historic Sooke Community Hall in beautiful downtown Sooke, only a 20 minute scenic drive from Westshore Centre. Handicapped accessible and admission is FREE! Pictures of our show in past years can be viewed in our gallery. We look forward to seeing you this November!